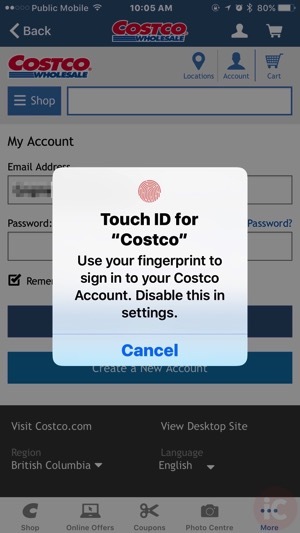 Costco Canada for iOS has been updated today to allow Touch ID to login to your account, making life easier when you need to go back to the app and shop online. To enable Touch ID, you need to toggle it on. Click on the ‘More’ tab in the bottom right, then go to Settings and turn on ‘Sign In With Touch ID’. 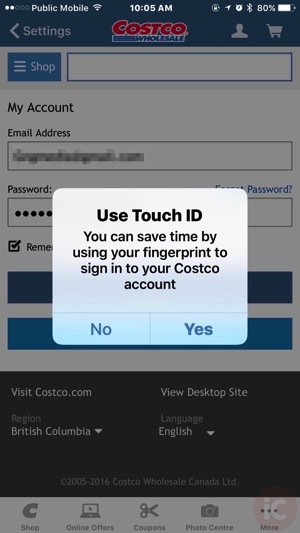 For Touch ID to work, you’ll first need to sign into your account within the app. Then, a prompt will ask you to “Use Touch ID”, so you won’t need to enter your password again for next time. Also new in this version is access to the Costco Business Centre, which recently opened up the first Canadian location in Scarborough, Ontario. The concept offers earlier hours, more selection of goods not available at regular warehouses, all geared towards small and medium businesses. Costco told BNN they plan to open more locations in Canada if demand is there, to go with their existing 95 traditional warehouse locations nationwide. The update today also retains your language and region settings, plus makes it easier to jump back to the main menu after doing a search. 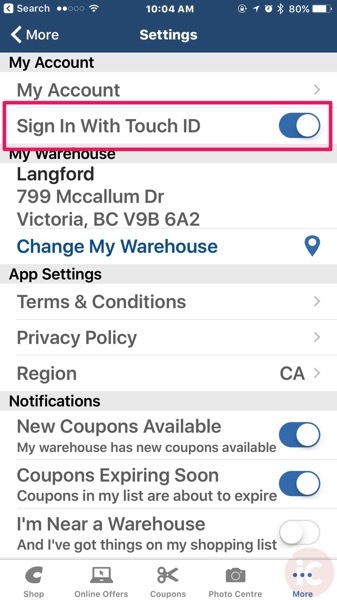 Click here to download Costco Canada for iOS in the App Store.